Leading the way in drug-free ADHD training! Focus and concentration are dependent on the domain-general mechanism, or “jack of all trades” mechanism, of timing. While domain-general might sound foreign, it is actually a principle at play right now in your brain. Much of our lives revolve around timing. Reading relies on timing. Sleep cycles rely on brain timing. Speaking is all about pauses and timing. Walking in rhythm relies on coordinated, timed movement, as does dancing; even baking cookies is a matter of timing. Synchronizing the body’s “internal clock” helps the functional brain networks communicate rhythmically and efficiently. The efficient communication between the brain and body allows all systems to be working at peak levels. When everything is working at the optimum level, the brain’s cognitive processes are free to work on memory, processing and coordinating action, all while still maintaining focus! In fact, a study from Baylor University reveals that students who received “just 15 minutes of IM training, four days a week” in addition to language and reading intervention, demonstrated significant improvement in reading rate, fluency and comprehension over students who just received language and reading instruction. IM training is also great because you can take it home with you. You no longer have to worry about working trips to the clinic into your busy schedule. With IM-Home, your child is able to complete their training under the supervision of your therapist, but in the comfort of your own home. Ask your Provider about IM-Home today! 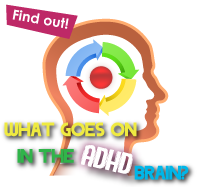 What goes On in the ADHD Brain? 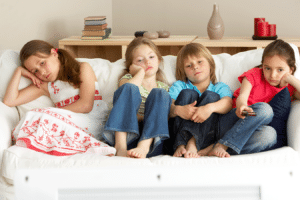 Many parents want to understand what goes on in a child’s brain to make them act the way they do at times. In this downloadable report you’ll find answers to these and many more questions to help you understand the CAUSE of the problem and what can be done about it. IM is a research-based training program that has been shown to improve deficits seen in those diagnosed with ADHD. I understand that by submitting this form my email will be added to the IM communications list. Find a Local Provider to Start your IM training today! For help with ADHD and many comorbid conditions, look for Providers with our “SPD/ADHD” badge on our Provider Locator Board. Also, Providers with these badges have additional training for children from similar backgrounds and symptoms: Academic, Autism, Brain Injury/Stroke, Early Intervention, Innovative Pediatrics, Reading/Literacy, Speech/Language and Visual Processing.